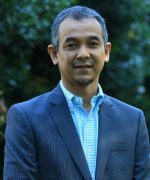 Dr Hezri Adnan is a Senior Director (Research) at the Institute of Strategic and International Studies Malaysia. He specialises in comparative public policy with work spanning areas such as natural resources security, sustainable development strategy, and green economy. From 2015 to June 2018, Hezri served as a Member of the United Nations’ International Resource Panel (IRP), a UN Environment global level expert body. He is an elected Fellow of the Academy of Sciences Malaysia (ASM) and was recently a Visiting Scholar at the Center for Southeast Asian Studies (CSEAS) at Kyoto University, Japan. Hezri holds a PhD in Public Policy from the Australian National University. He has consulted for international organizations such as UNDP, UNESCAP, UNICEF, UNRISD, and the World Bank, on many issues related to development and resource challenges in the developing world.